Something about Fall always calls to me to make pumpkin themed foods. I can’t say enough about baking and pureeing your own pumpkin, and this recipe is no exception! Mix all ingredients minus the pecans. 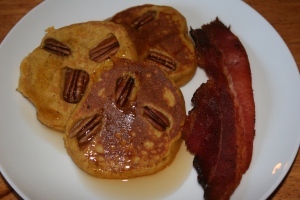 Add to skillet and place pecan halves on poured pancakes. Cook as usual. 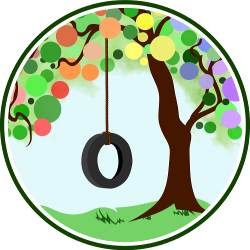 This post was rewritten from one published at Living Peacefully with Children. Yummylicious recipe, I am certainly going to try it!